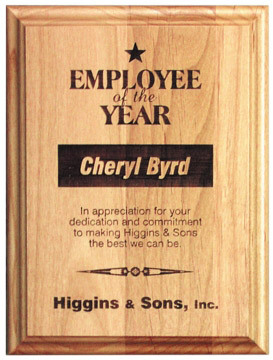 Cherry finish plaque with plate. Plate available in black, red marble, blue marble, green marble, grey marble, and black aluminum (silver lettering). Shown with black brass and laser engraving. 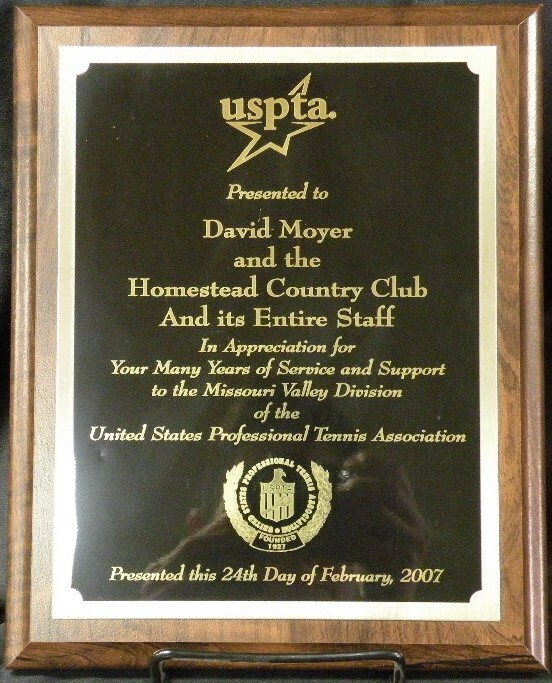 Matte black finish plaque with plate. Plate available in satin silver or satin gold finish. Shown in satin silver with sublimation printing. 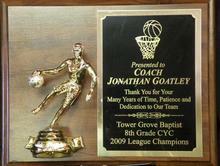 Cherry finish plaque with sport image and plate. Most sports and many other activities available. Cherry finish plaque with oval resin and plate. 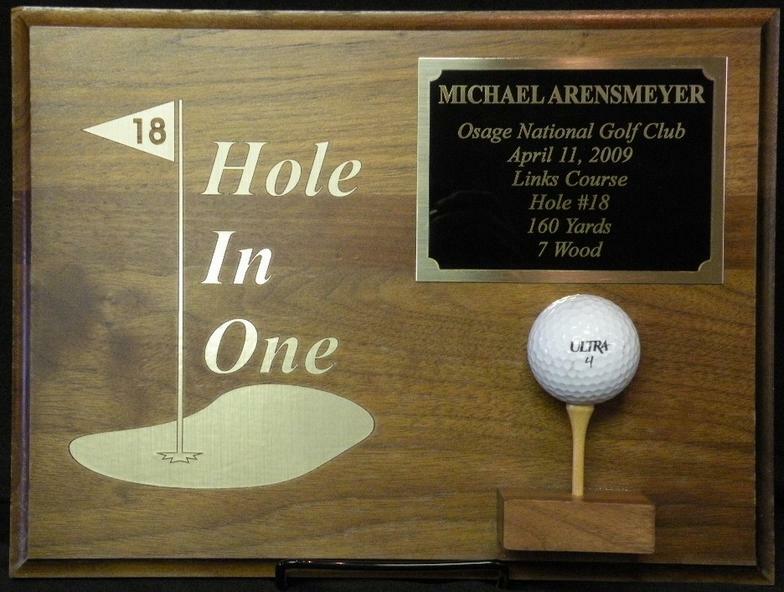 Solid 9x12 walnut plaque with hole in one graphic. 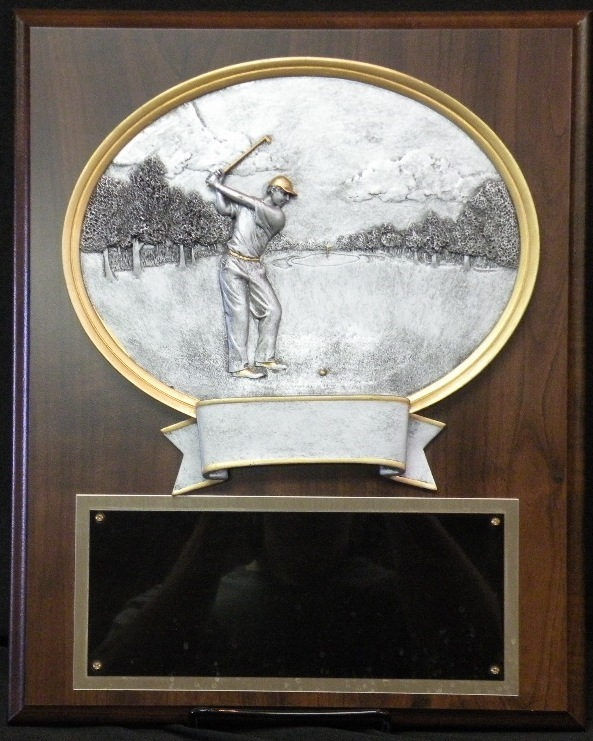 We can engrave the specific hole on the flag and mount the actual ball used on the tee. Cherry finish plaque with sports figure mounted on pedistal.